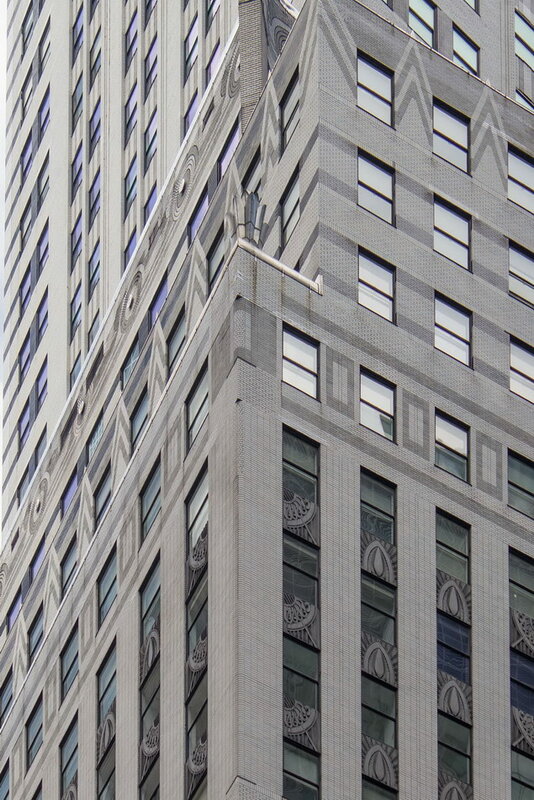 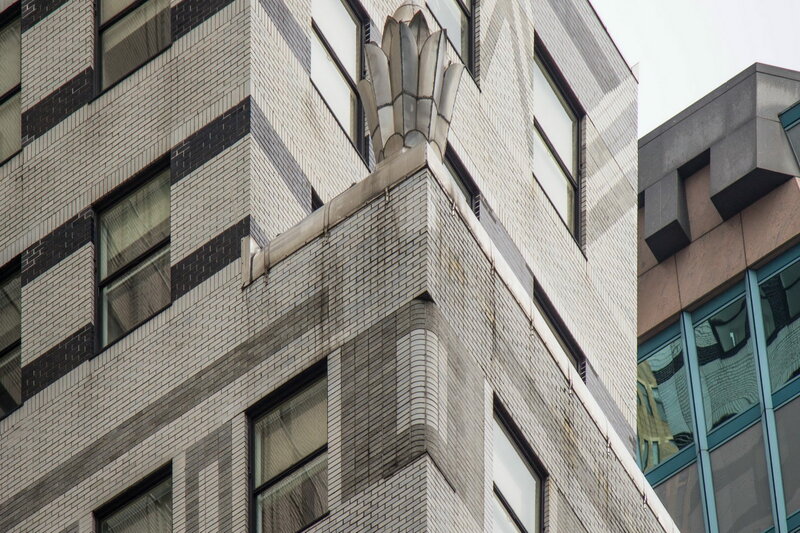 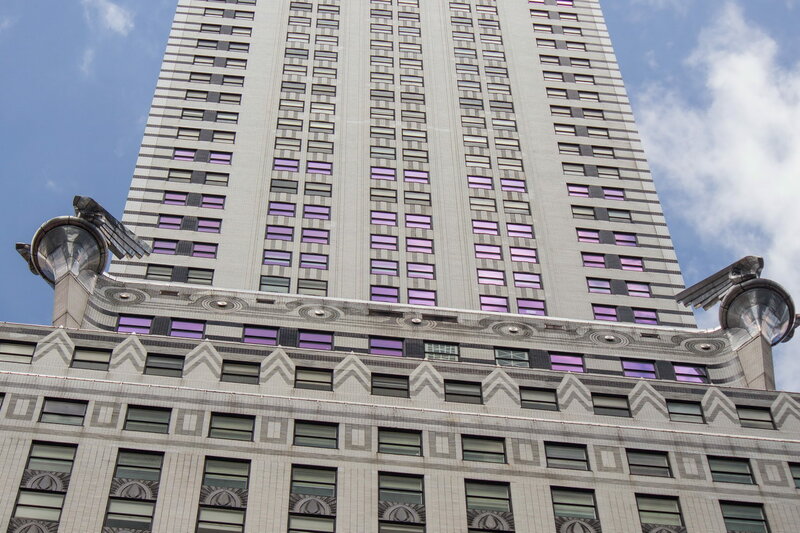 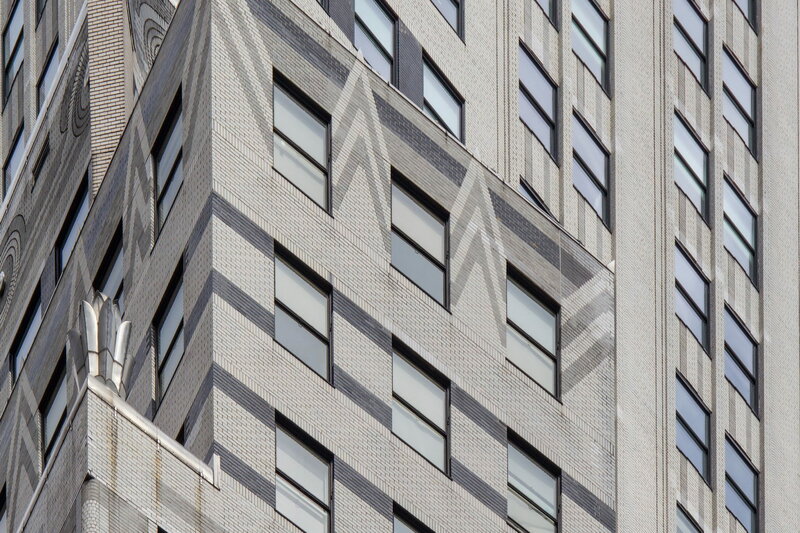 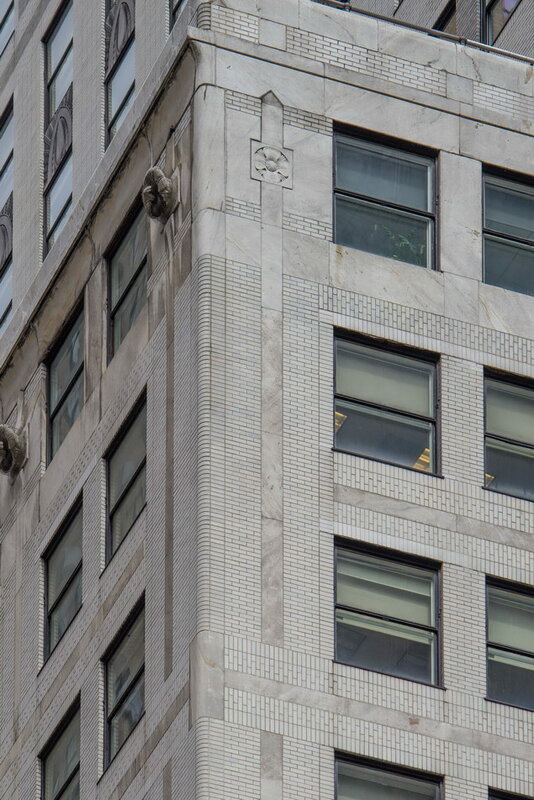 February 23, 2015 Manhattan1930, 405 Lexington Avenue, Art Deco, commercial, historic, landmark, Manhattan, midtown, New York City, William Van Alen. 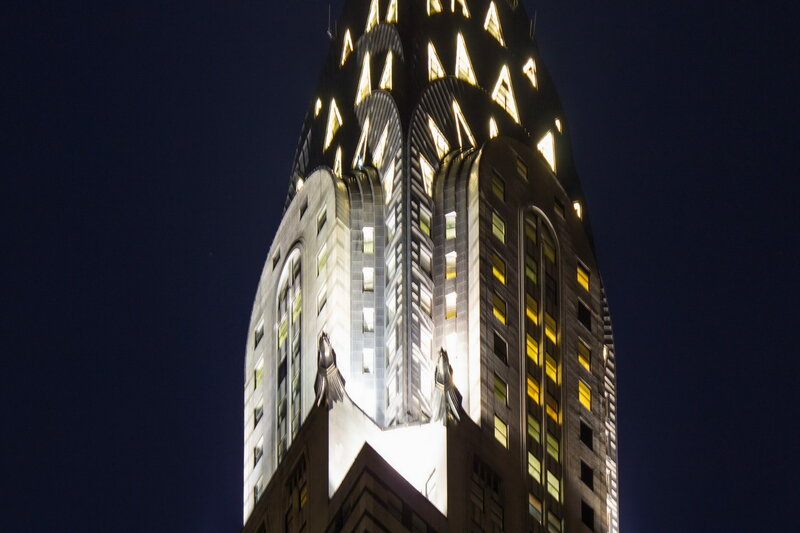 Volumes have already been written about the Chrysler Building, so I’ll keep this short. 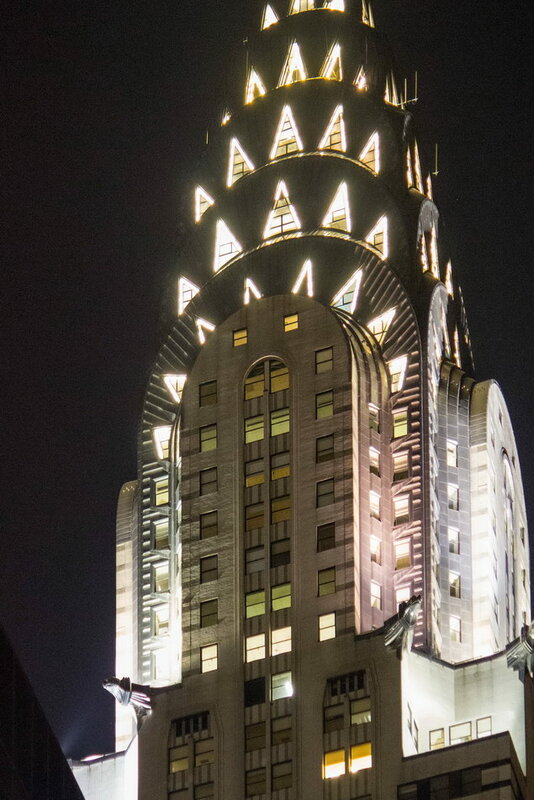 Besides being unique, the Chrysler Building is beautiful. 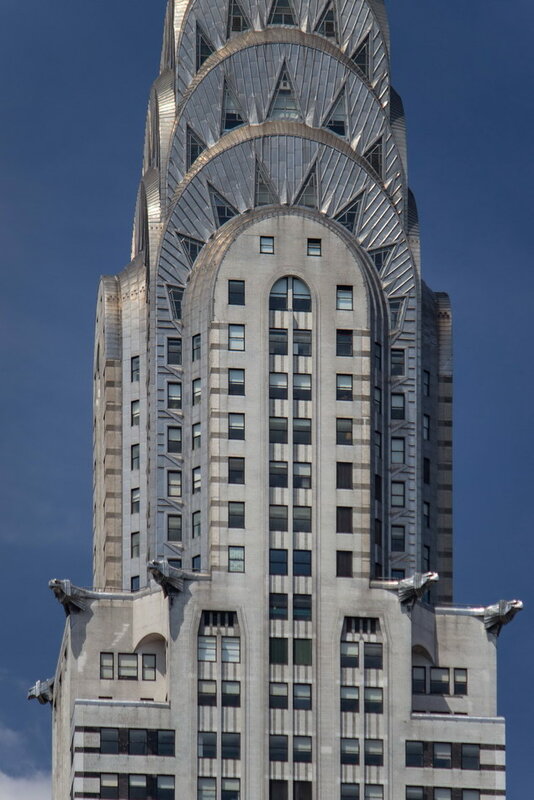 The silhouette, the crown, the setbacks, the gargoyles, the brickwork, the detailing are all beautiful. 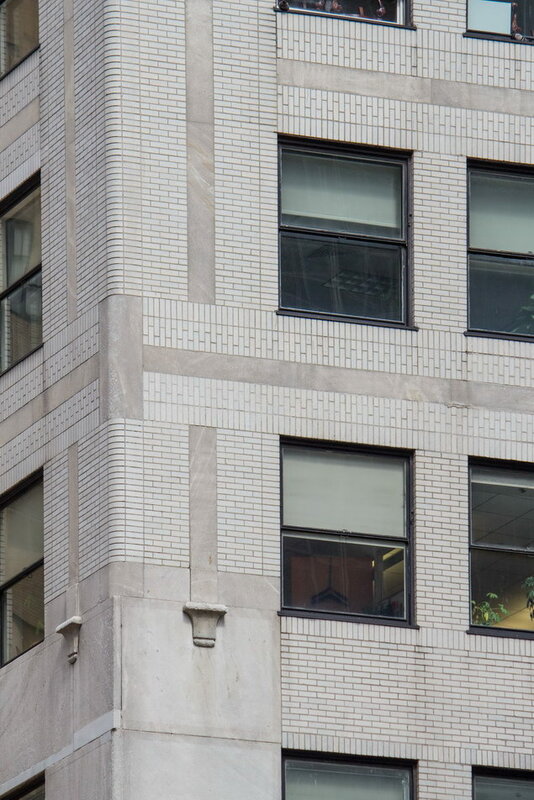 There is so much complexity and subtlety at work – such as the black brick accents at the corners that accentuate the building’s vertical lines. 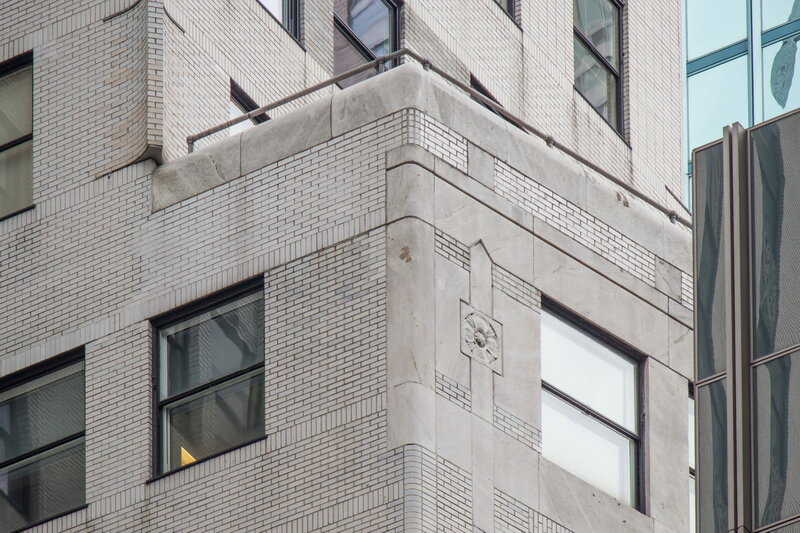 Here are a few facts, with links to a wealth of fascinating articles, and my humble addition to the building’s ever-growing photographic record. 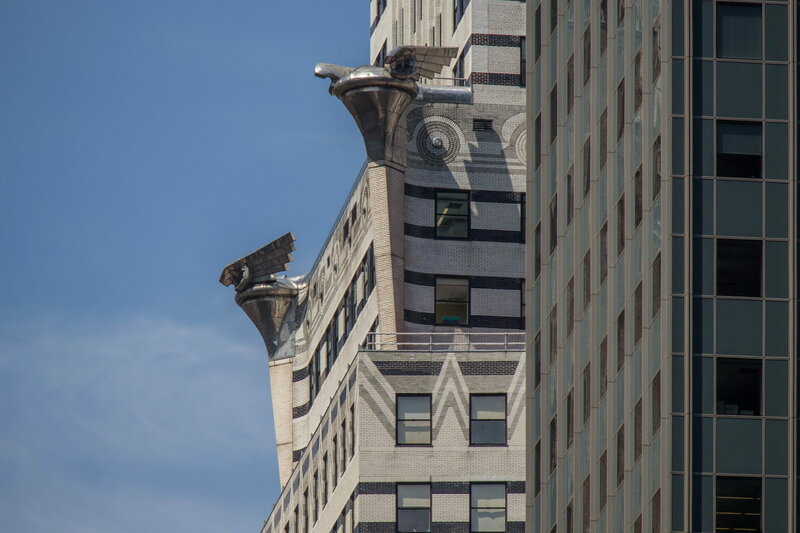 The Chrysler Building began life as the Reynolds Building – a project for real estate developer and former New York State senator William H. Reynolds. 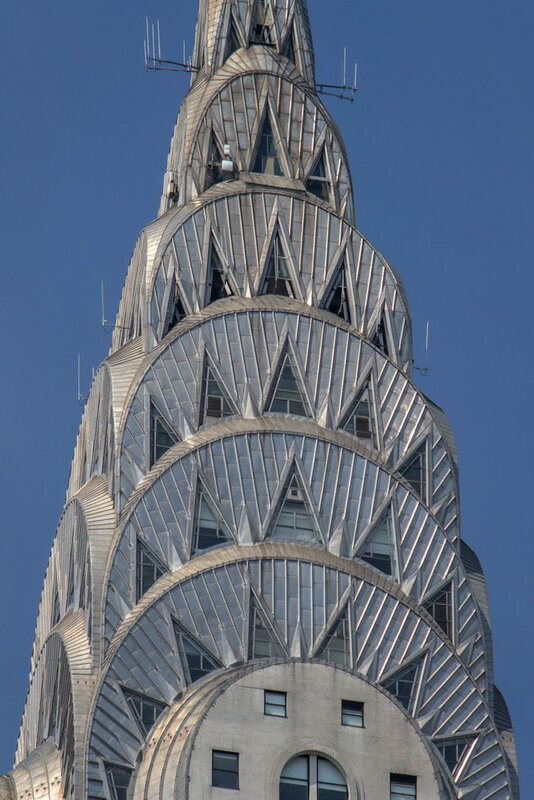 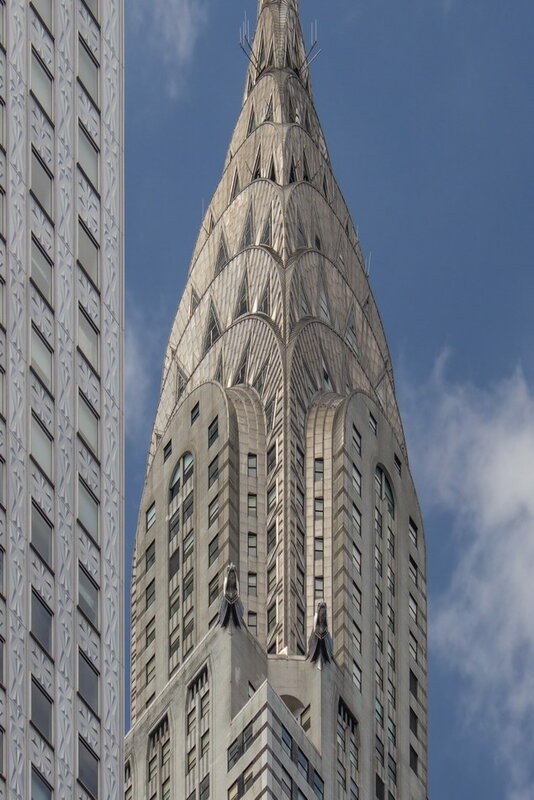 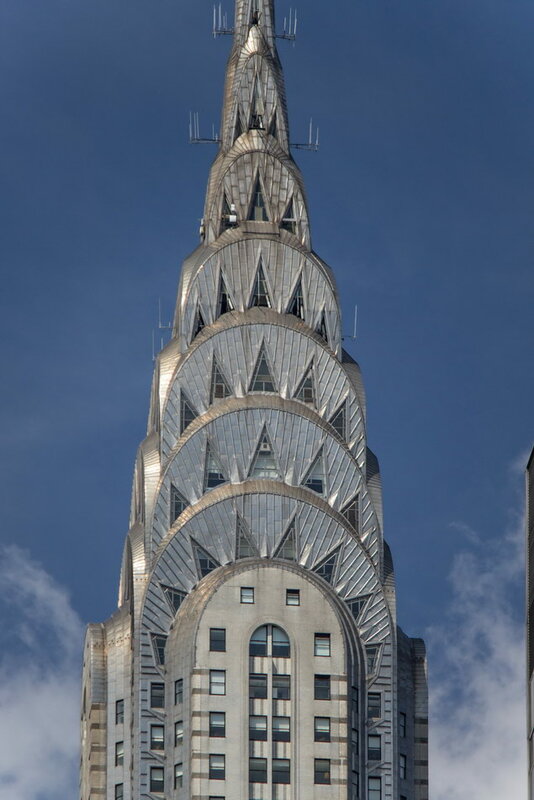 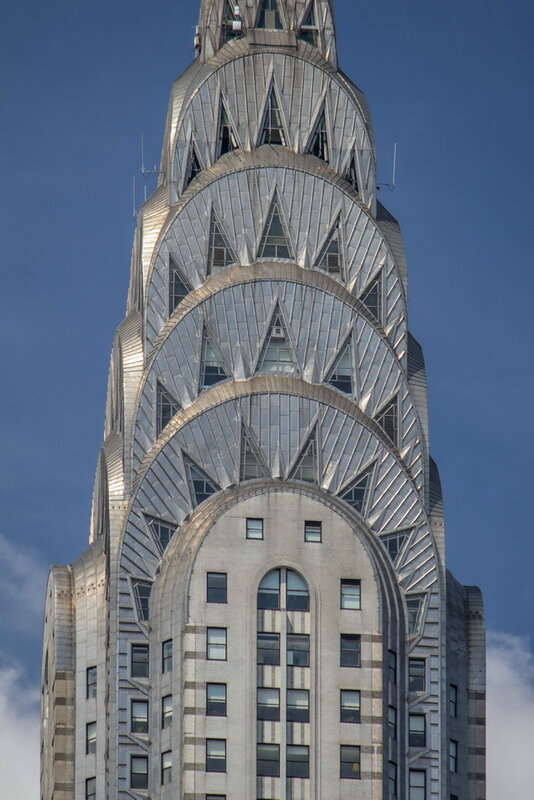 The Chrysler Building was never owned or financed by the Chrysler Corporation – it was the personal project of Walter P. Chrysler. 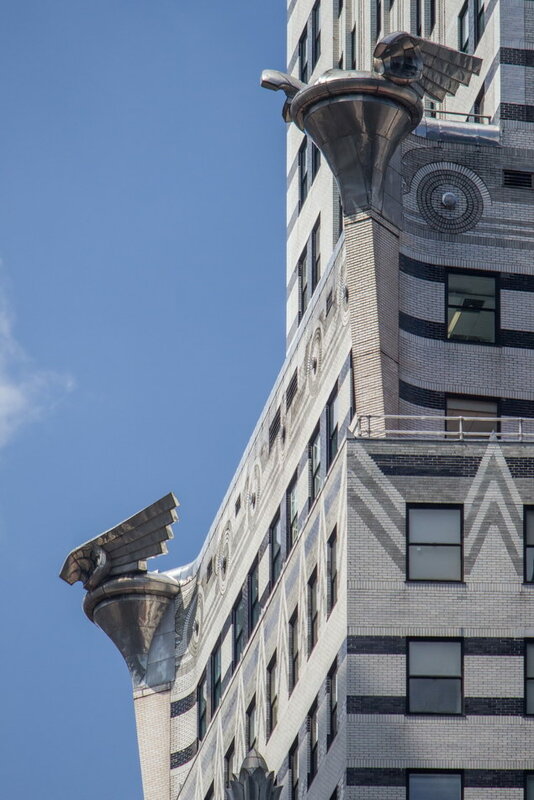 The land under the Chrysler Building is owned by Cooper Union; the architect – William Van Alen – studied at Pratt. 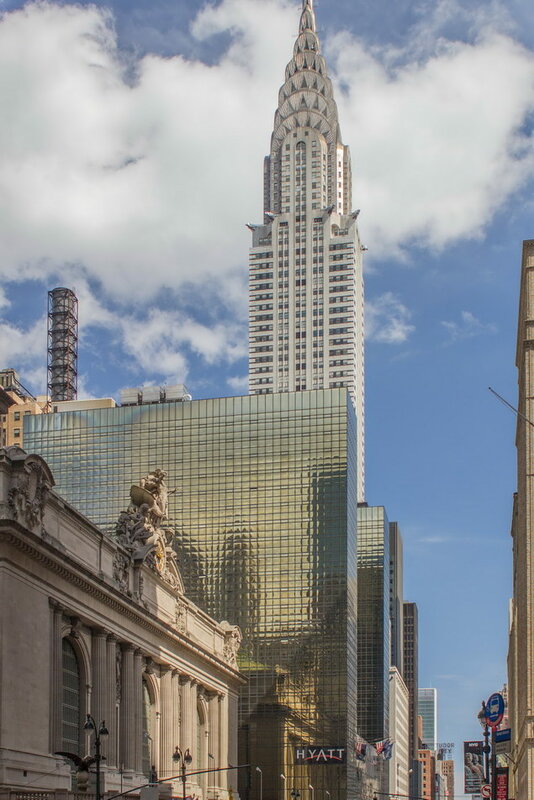 The Chrysler Building and Manhattan Building (40 Wall Street, now the Trump Building) competed for “tallest” designation; their architects, William Van Alen and H. Craig Severance, had been partners before they became competitors. 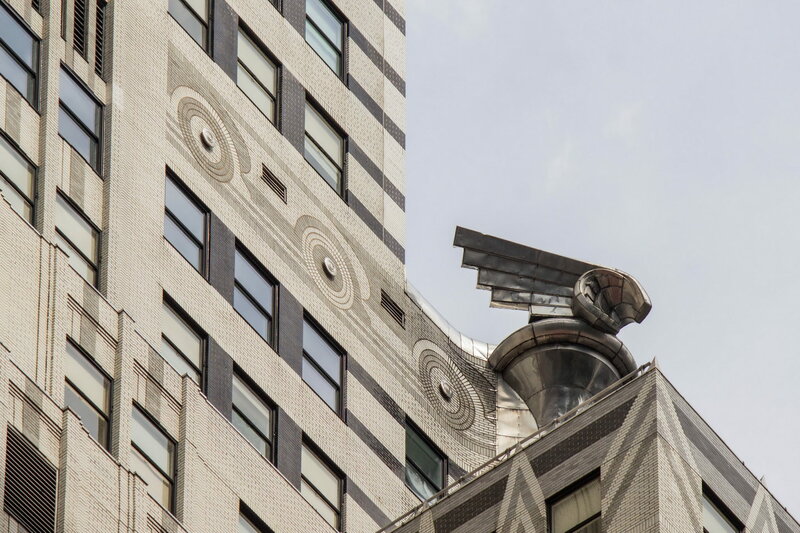 Van Alen had to sue Walter Chrysler to collect his fee; he won, but the suit wrecked his career. 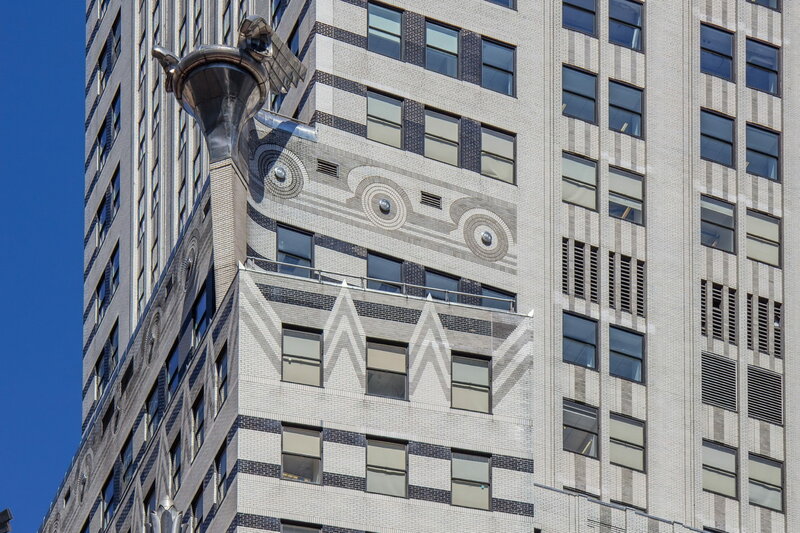 After designing one of the most famous buildings of all time, Van Alen wound up teaching sculpture. 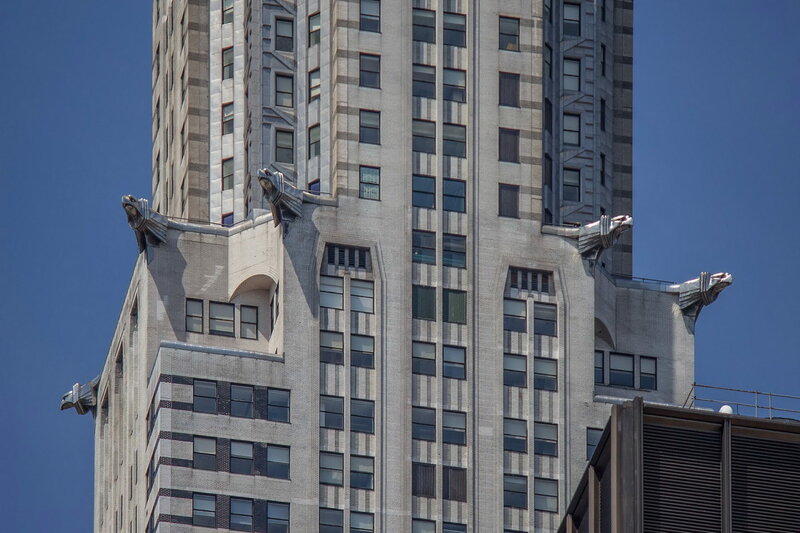 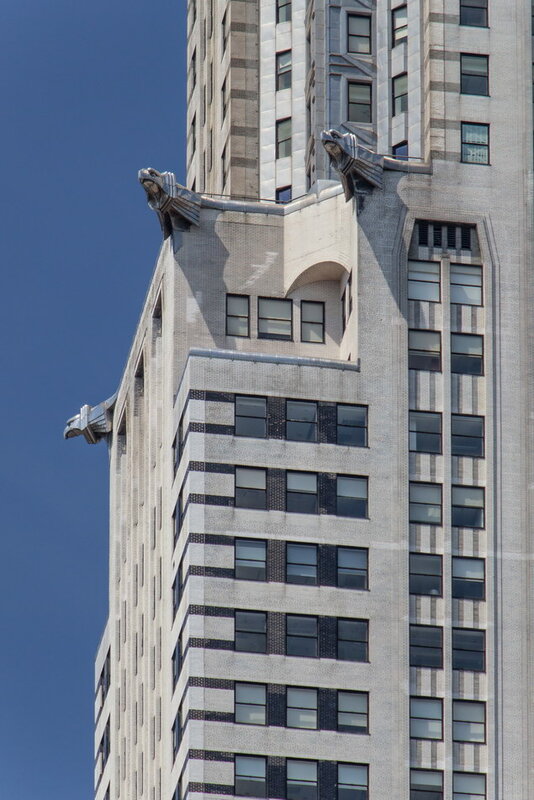 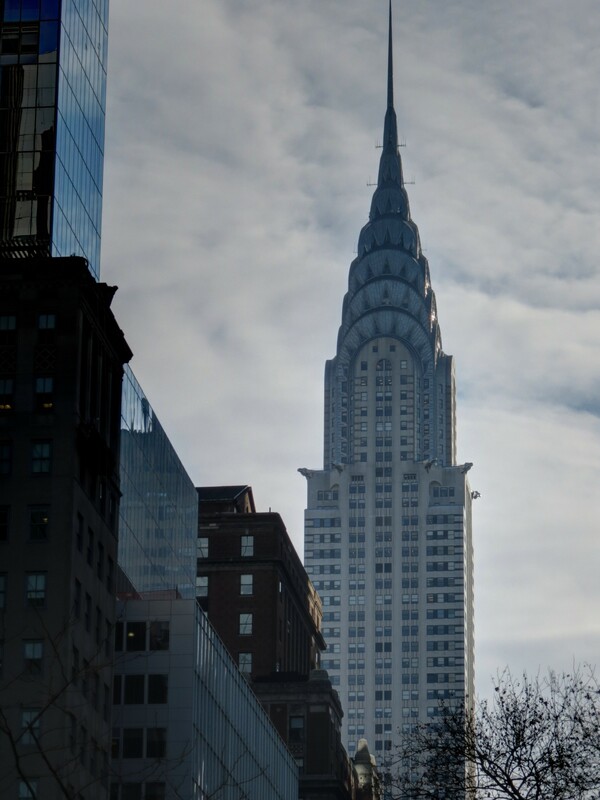 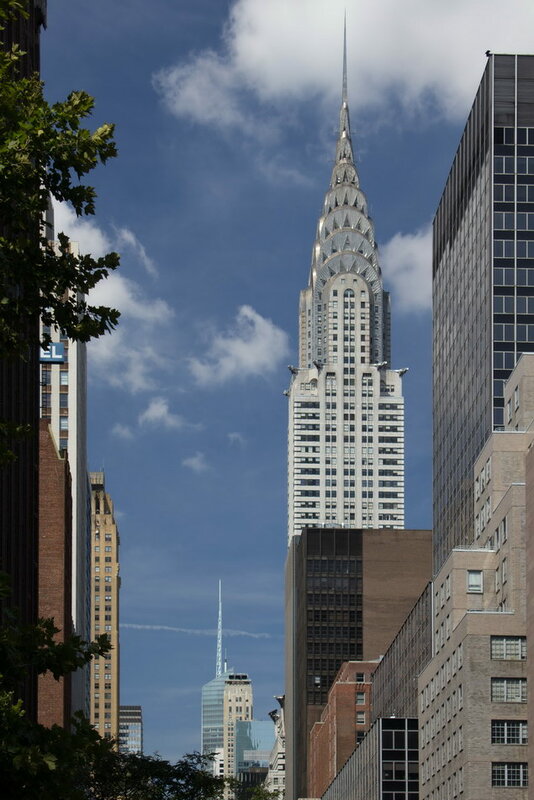 The Chrysler Building is now part of the “Chrysler Center,” managed by Tishman-Speyer, which also includes Chrysler East and Chrysler Trylons.